A cyber boot camp has been launched in an effort to bridge the cyber security skills gap. 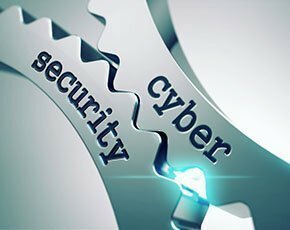 The Sans Cyber Academy aims to equip recent graduates with cyber threat protection skills after UK businesses declared a skills shortage in the area. The eight-week course gives an overview of how hackers operate and how to respond when things go wrong. Students are trained in building a fully functioning business network incorrectly to understand the ways hackers can attack, before rebuilding the network correctly. Exercises also include hacking a drone to find flaws in unfamiliar systems and how to deal with a virus outbreak. Students will also have to learn to make security policy recommendations to line managers to prevent reoccurring problems. Candidates will sit GCIH and GSEC certifications. Sans Institute managing director for Europe, Andrew Smith, said with the cyber skills gap growing, the graduate pipeline will not meet demand in the short term. “We need to quickly create new skilled professionals, not just hire from the limited existing pool,” he said. Sans Cyber Academy will work with companies and universities to identify candidates with potential. In addition, businesses will also have the chance to sponsor students through the course, if they are in need of new staff with cyber security skills. Scholarships for returning military veterans and groups that are considered underrepresented in security are also being offered. Psychometric testing has been developed to identify likely candidates. The tests focus on finding talents in spotting suspicious code and guessing how IT users are likely to behave – how they might choose their passwords, for example. Lead instructor and curriculum author James Lyne said the course will teach "tonnes" of practical skills. “It provides a safe environment to play with malicious code most people will never get their hands on," he said. The first Sans Cyber Academy is on 1 September 2015 at the St David’s Hotel in Cardiff.